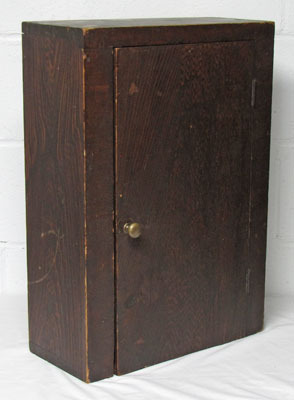 Hanging or counter top cupboard in old grain paint. 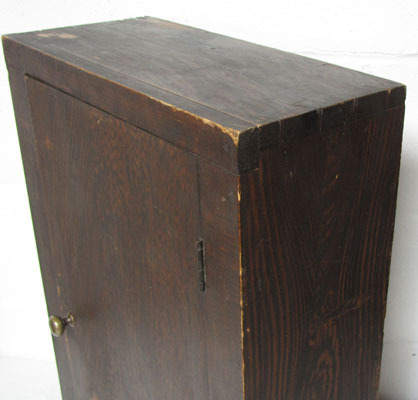 Dovetailed top and bottom, one board back, two interior shelves, and original hinges. Hard to find smaller size measures 22" high, 7" deep, and 15.5" wide. Found in a farm house backroom.